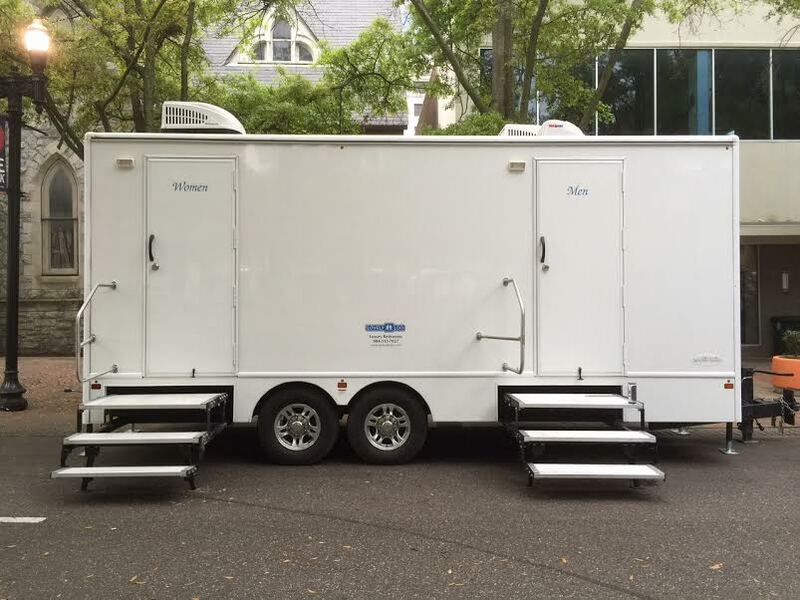 Our new eight stall trailers offer the latest amenities including wood grain flooring, LED lighting, corian counter tops, stainless steel sinks, metered faucets with hot water, and a stereo/mp3 player. The ladies suite has four spacious stalls and a twin-basin vanity. For the men, there are two private stalls, two urinals and a twin-basin vanity. The climate in each area can be controlled by individual air conditioning and forced air heat units to insure total comfort.